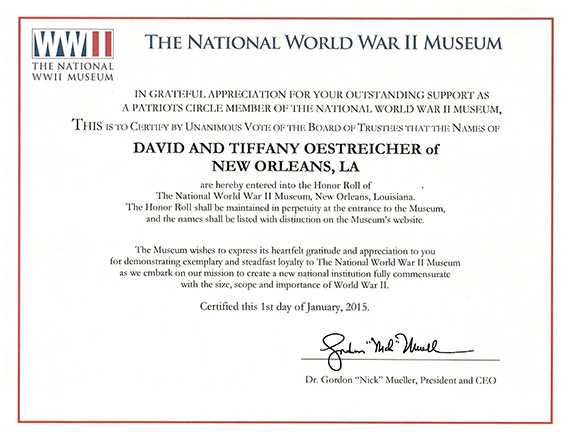 David and Tiffany Oestreicher were recently recognized by the National World War II Museum as members of the WWII Museum’s Honor Roll. This recognition is bestowed on members of the organization who have made significant contributions to the museum, and who have helped further its mission. The certificate is shown below. Click here to view an enlarged version as a PDF.